Five candidates were endorsed by the Paterson Education Association, the teachers’ union, on Monday afternoon, giving them a boost in the 17-person race. Incumbents Oshin Castillo, Nakima Redmon, Manny Martinez, and Vincent Arrington received the 3,000-member strong union’s endorsement. Also, newcomer Eddy Pichardo received the teachers’ backing. 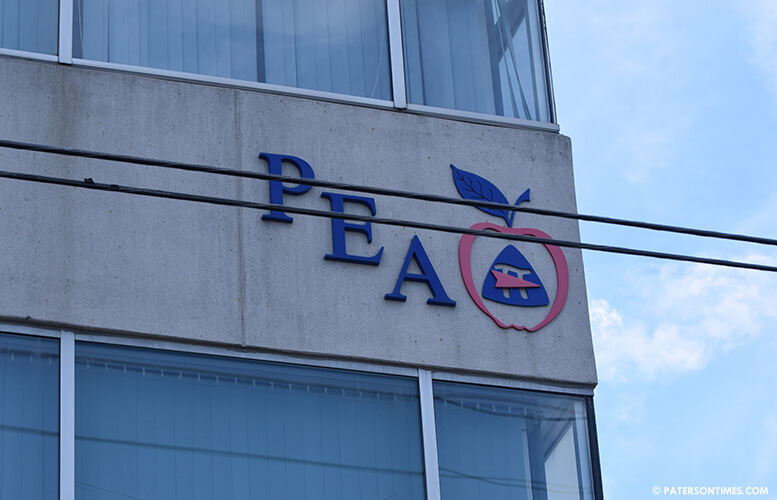 “Whether it be respecting our desire for a fair and equitable contract or supporting the permanent appointment of Ms. Eileen Shafer, who has brought a long-overdue stability and positive outlook to this district and its employees, these men and women understand that the foundation of our schools are the professionals who tirelessly work within them,” said John McEntee, Jr., president of the Paterson Education Association. McEntee said the endorsed candidates are committed to working with and not against union members. The teachers’ union has 1,000 members, who are registered to vote in the city. It has another 500 retirees, who vote, said McEntee. McEntee said the union will put out a mailer, form a team to campaign for the five candidates, and carry out phone banking for them. There’s also the possibility of the union contributing funds to the candidates’ campaigns, he said. “I’m extremely glad. We’ve worked extremely hard to partner with the teachers’ union to make sure we’re working together,” said Castillo. She said the school board and the teachers have built a solid relationship since the contract settlement earlier in the year. Martinez could not be reached for comments. A phone number was not available to reach Pichardo for this story. Some of the other candidates expressed their disappointment at the union’s endorsement of the majority incumbent ticket. McEntee said the union sent a certified letter to each candidate inviting them to the screening process. The candidates were interviewed earlier in the month. “I wasn’t seeking their endorsement,” said former school board member Eddie Gonzalez. He said the union has endorsed candidates in the past that ended up losing. He said he is not criticizing the union for its endorsement. Gonzalez said his wife is a teacher and member of the union. The challengers aimed fire at the incumbents. Some argued the incumbents are responsible for the district’s current failures. For example, more than 90-percent of high school students in half of the schools failed the math portion of the Partnership for Assessment of Readiness for College and Careers (PARCC) exams. Teague said the current leadership has failed the district’s parents and children. “The current leadership has done absolutely nothing, man,” he said. Some of the incumbents have defended themselves by asserting the district is on an upward trajectory. Return of local control, improved attendance, new reading program, laptops for upper grade students are some of the things cited by incumbents to make their case. The incumbents have fostered factionalism on the board and have difficulty to working with non-aligned members, said Gonzalez. Incumbents have failed to work together to improve quality of education in the district, he said. Members of his ticket will work with even those who they disagree with, he said.